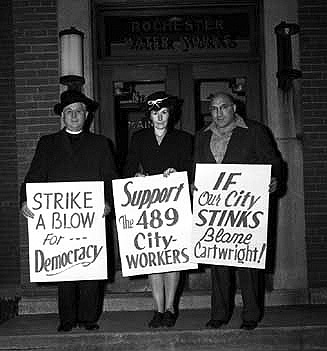 On this day, in 1946 workers in the city of Rochester, New York, staged a successful one-day general strike. The strike was precipitated when city workers were summarily fired after attempting to form a union. The anti-union action was taken by the Republican dominated city leadership and City Council. 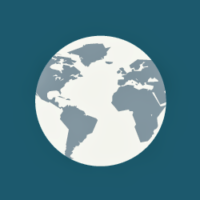 The workers had formed Federation of State, County and Municipal Workers, Local 871 [now AFSCME]. Some 35,000 workers struck in solidarity outraged by the city’s action. The strike was settled the next day with all workers being reinstated, charges dropped against pickets, and union recognition.